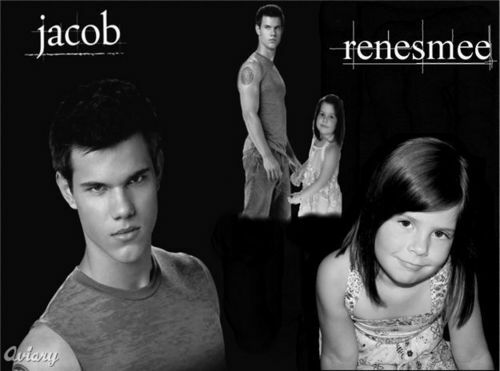 Renesmee & her Jacob. . Wallpaper and background images in the जेकब ब्लैक club tagged: jacob black taylor lautner twilight saga renesmee harmony. OMG Please tell me this isn't Remesmee! EWH! ikr^^^^^ she not the one!